Aging Partners’ mission is to enhance daily living, expand personal choices and to educate the community in an effort to ensure the independence and full life of the people we serve. With our new Fitness Center in Lincoln at 9th and “J” streets, and through our many exercise and wellness classes conducted throughout Lincoln, Lancaster County and the other seven counties we serve, Aging Partners encourages seniors to take measures that decrease risk, promote optimum health and encourage independent living. The Aging Partners’ Fitness Center, located at 555 S. 9th St., offers health education, exercise classes and new fitness equipment. 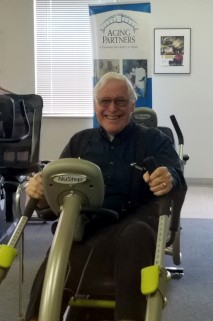 A certified personal trainer is available on Tuesdays and Thursdays from 9 a.m. to 2 p.m., or by appointment to help seniors create an exercise routine with each individual's abilities and goals in mind. There is a $10 suggested monthly donation for age 60 and over and a $15 fee for under age 60. For most classes, there is a $4 per class suggested contribution for age 60 and over or a $5 per class fee for under age 60. Punch cards are available and pre-registration is required for all classes. View or download a flyer with descriptions, times, and locations of community health education and fitness classes here. 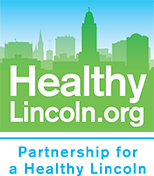 Senior Health and Fitness education programs air on these Lincoln cable TV systems: ALLO – channels 2, 3 and 23; Charter Spectrum – channels 1300, 1301 and 1303; and Windstream Kinetic – channels 5, 10 and 80. The program line-up includes Exercise for a Lifetime; Yoga: Refresh and Renew; Pilates; Forever Strong; Tai Chi: Modified 8 Form; Tai Chi: 24 Form; and Tai Chi: Moving for Better Balance. Would you like a speaker for your group or organization? Staff is available to conduct 30 to 60 minute health education programs for community, church, and social groups. A variety of programs have been developed relating to: illness and injury prevention, physical activity nutrition and mental wellness. Email Peggy Apthorpe, or call her at 402-441-7796 for more information. Visit the Aging Partners web site.